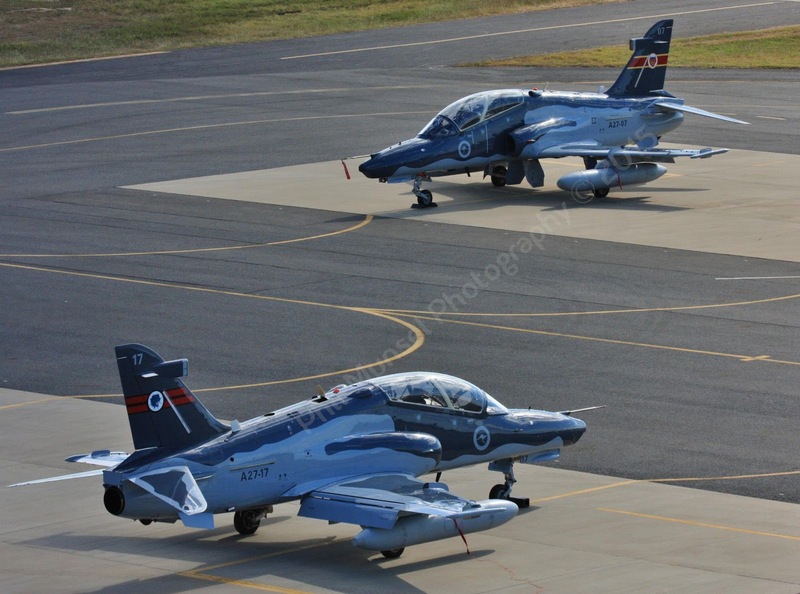 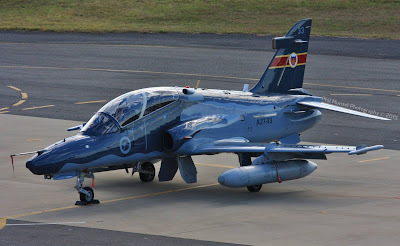 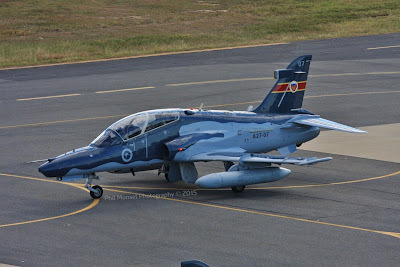 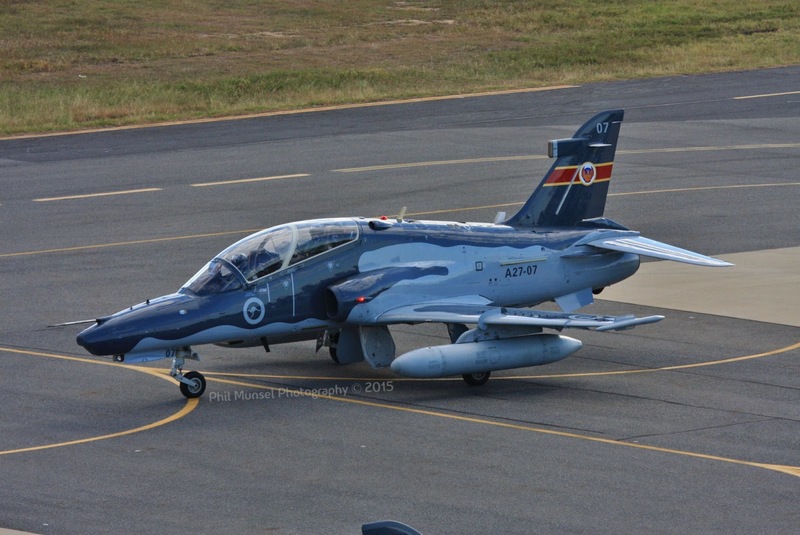 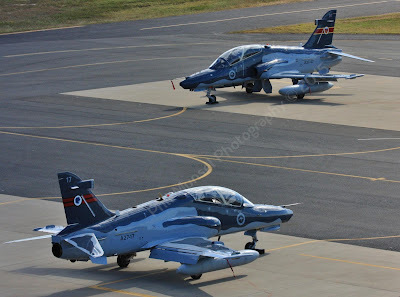 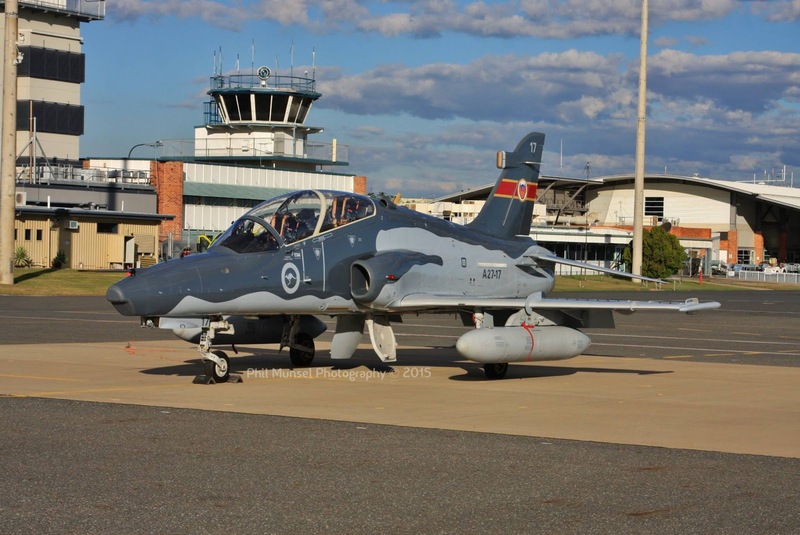 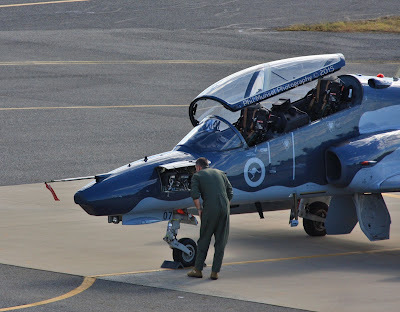 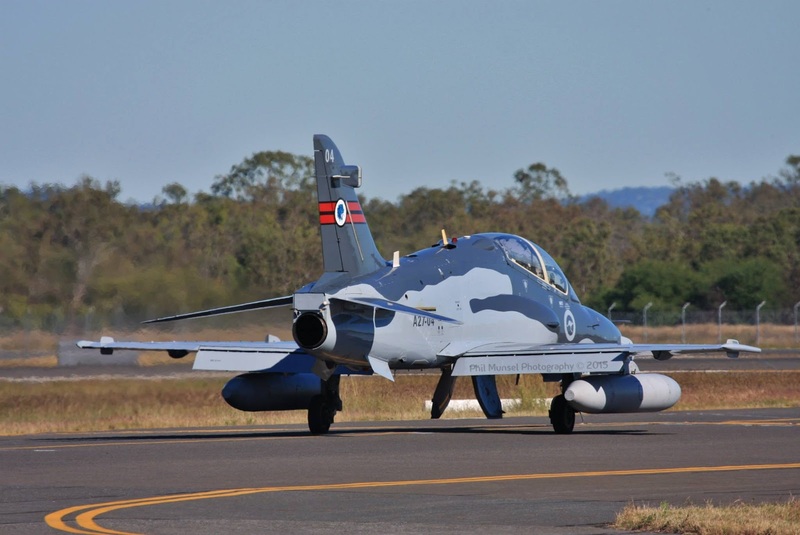 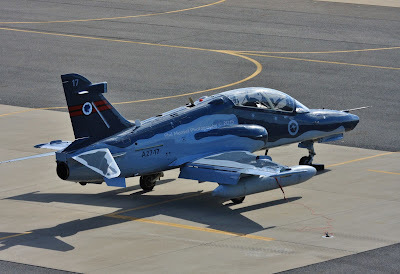 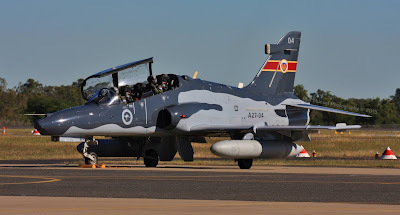 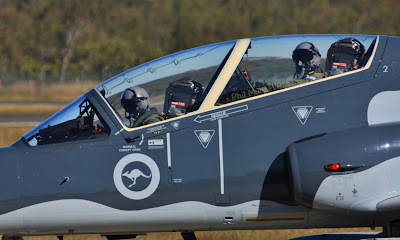 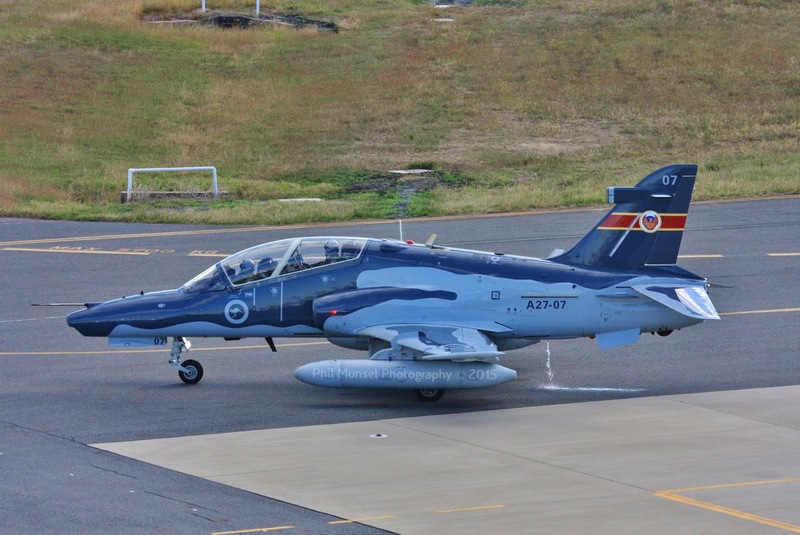 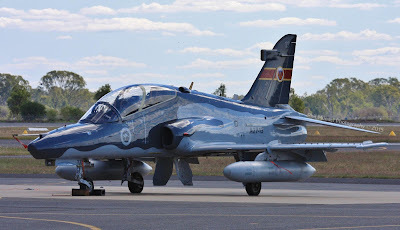 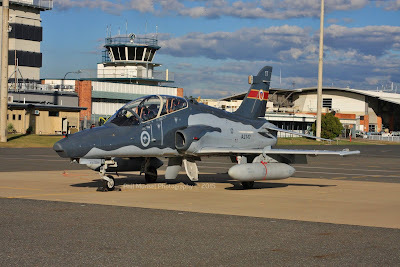 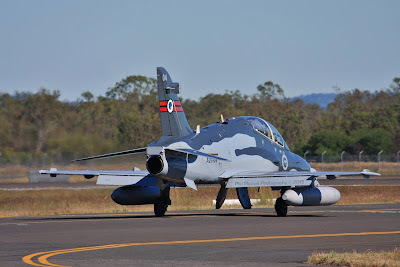 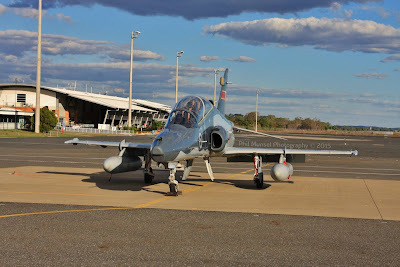 Among the more prominate highlights at Rockhampton Airport during Exercise Hamel / Talisman Saber 2015 for planespotters and aviation enthusiasts alike, was the temporary basing of four Royal Australian Air Force British Aerospace (BAe) Hawk 127 lead-in fighter's. 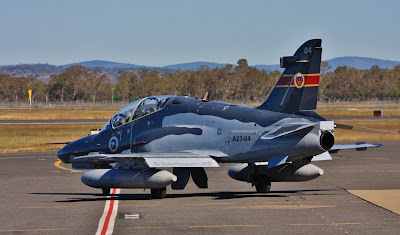 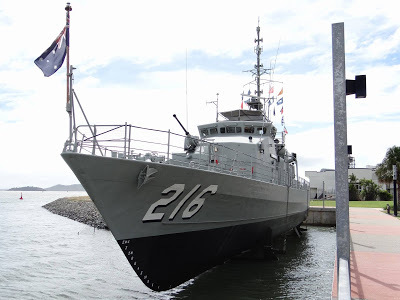 Operated by No.76 Squadron at RAAF Base Williamtown, near Newcastle, and No.79 Squadron at RAAF Base Pearce, near Perth - the Royal Australian Air Force operates 33 Hawk 127's as a platform to prepare qualified Air Force pilots for conversion to the classic F/A-18A/B Hornet or the much newer F/A-18F Super Hornet. 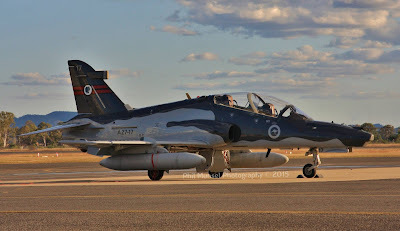 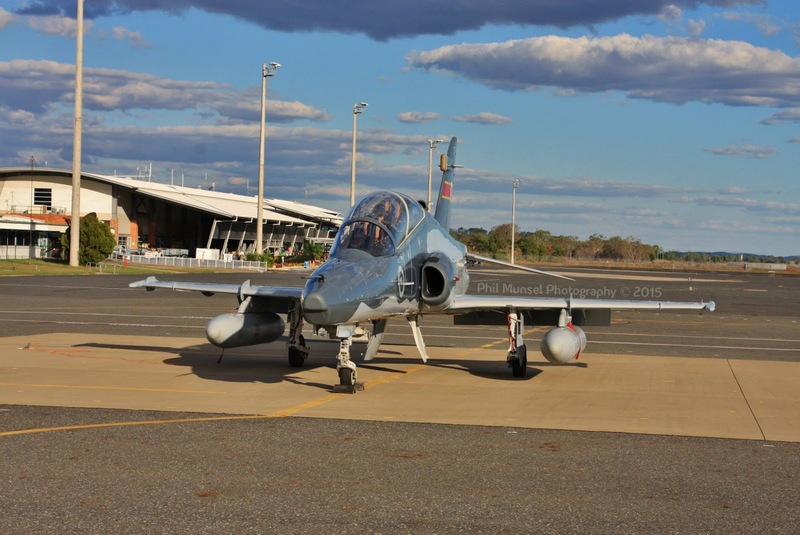 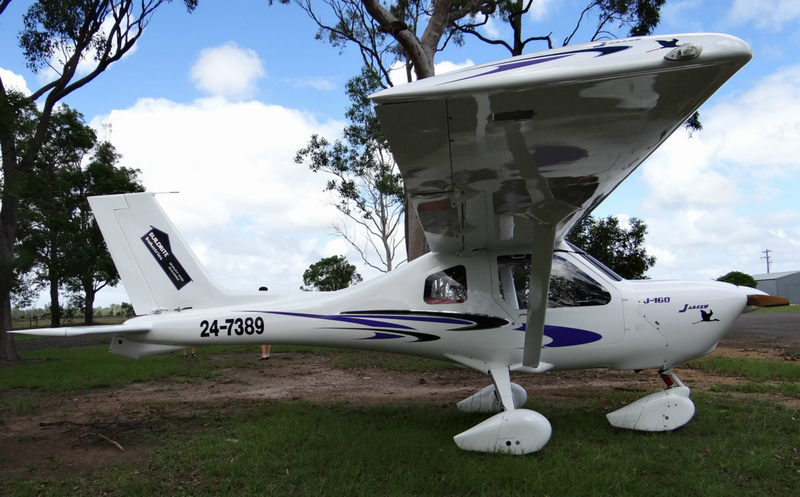 Of interest, aspiring fighter pilots undergo a 14 week Introductory Fighter Course at RAAF Base Pearce with the Hawk which includes general flying, instrument flying, formation flying, night flying and navigation. Graduates then advance to a 20 week course at RAAF Base Williamtown which encompasses air-to-air and air-to-ground weapons training before eventually progressing to the Hornet fleet. 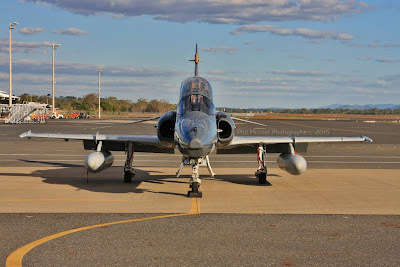 All photo's kindly contributed by Phil Munsel Photography.